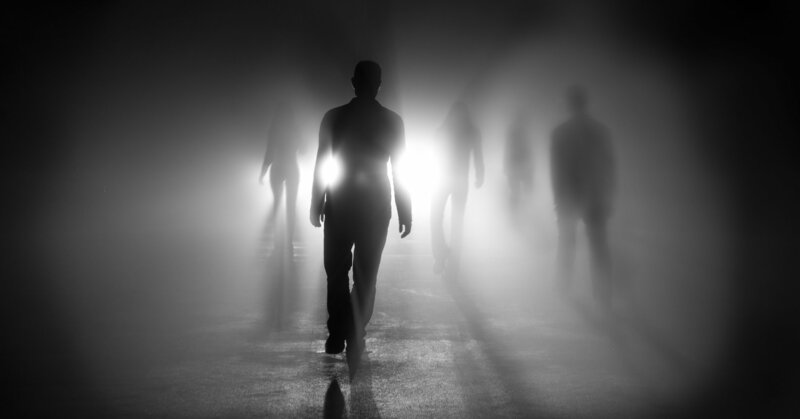 Home » Are Creatures Living Among Us in Parallel Dimensions? Some have theorized that we made contact with a form of intelligent life but they aren’t from outer space, they are ultraterrestrials from other dimensions. People have been looking for signs of intelligent life in our universe for decades to no avail. Many believe the reason we haven’t been successful is because our universe is just too vast for us to find extraterrestrials. But others say we’re just not looking in the right place. Meaning we shouldn’t even be focusing on searching for life on other planets — but we should instead be searching for life in other dimensions. Stuff They Don’t Want You To Know hosts Ben Bowlin, Noel Brown and Matt Frederick tackle particle physics, superstring theory and parallel dimensions in this podcast What are Ultraterrestrials? Particle physics seeks to explain the origins of the universe and the fundamental building blocks of matter by studying the irreducibly small particles that make up atoms. It’s often called the theory of everything, working toward one single elegant solution to explain how matter and energy work. In the Standard Model of physics, particles are understood to be point-like, like impossibly tiny dots. The Standard Model is still theoretical because there’s still a lot we don’t understand about the force of gravity. String theory is another model of physics, where instead of dots, particles are actually tiny strings, all vibrating together to create size and mass. But for string theory to be accurate, it means there could be more than 10 dimensions, instead of the four we’re used to experiencing: length, width, depth and time. Some of these dimensions could theoretically be places where the Big Bang never happened and the universe had an entirely different starting point. What would a creature from a dimension like that look like to humans from the fourth dimension? Lovecraftian monsters? Demogorgons? Or maybe demons, or fairies from folklore? The late ufologist John Keel was a believer in extraterrestrials, but moved away from that after a time. He began to think that all the stories from folklore and religious texts were actually proof that humanity has indeed made contact with another form of intelligent life, but that they weren’t from outer space. Instead, they were beings from other dimensions: Ultraterrestrials. Keel theorized that these beings could shape shift to look like anything, and attributed them to stories of demons, monsters, angels, ogres and changelings. He thought these ultraterrestrials likely had a sense of right and wrong, and that they were capable of manipulating mankind. But why? If there are ultraterrestrials, what would be the motivation of a fifth, sixth or seventh dimension creature coming to the fourth dimension to make mischief? And how do they move between dimensions? Keel thought there were magnetic anomalies that made it easier for ultraterrestrials to materialize, but wasn’t sure how they got to the fourth dimension. What do you think? Does it make sense — or sound like nonsense? To hear all about the complex science and infinite possibilities of utraterrestrials and fifth, sixth and seventh dimensions, listen to the entire podcast as Ben, Noel and Matt delve deep into the strange theory of ultraterrestrials.